Televisions can now be placed closer to a fire with Escea’s new DS1400 gas fireplace, with a reduced clearance height of 200 mm. Whether it is about looks or maximizing space, having a television above a fireplace has always been a popular choice. 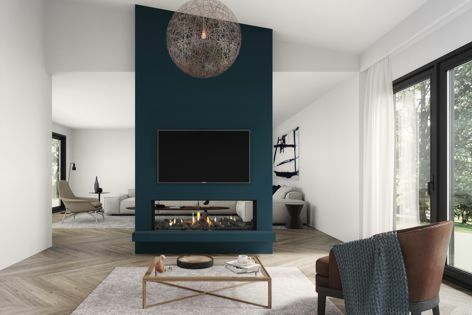 With the introduction of the Escea DS and DF Series gas fireplaces, Escea has announced the new minimum television clearance of 200 mm above the top of the firebox.